Super Nova Auto Industries is a privately owner special manufacturing group enterprise established in 2004. It cover 4,000 sq meters including 3,000 sq meters constructed area situated at industrial area of Kala-Amb, Himachal Pradesh,India ….approximately hours drive from New Delhi. It comprises injection moulding unit, BMC moulding, metallising plant, hard coating plant,tool room and research and development department with lab facilities. The company has rich technical strength with latest means of manufacturing and passed QMS test to provide best quality to meet international standards. 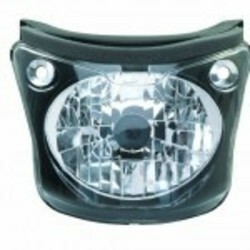 The company is specialized in the production of head lights, tail lights, accessories,etc.Also has great awareness for technology and innovation. Since establishment,company has tried best to provide quality, reasonable prices and excellent services for customer satisfaction beyond expectation.